Some patients with a Receding Chin or a Receding Mandible need a more complex surgery to advance the chin or the whole mandible. In such cases Chin Implants do not work and the whole mandible needs advancement. 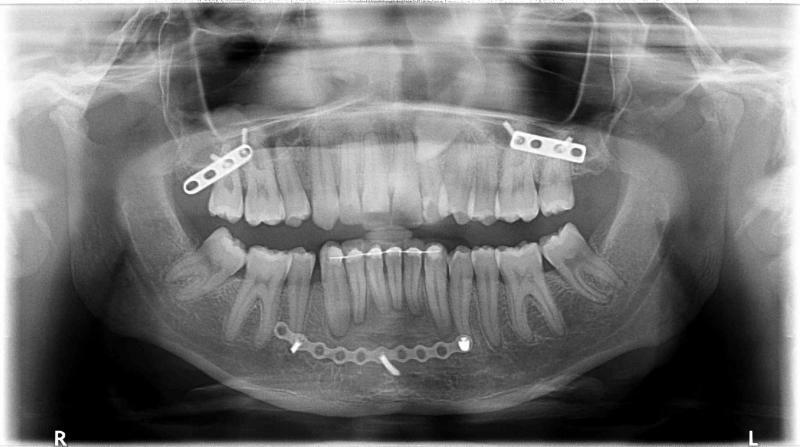 Mandibular and Maxillary advancement: This 32 year old patient had a receding Chin and Midface. Surgery was done to advance them forwards, and fixed by plates and screws. She had a concommitant nose job (Rhinoplasty) to restore the beauty and harmony of the face.